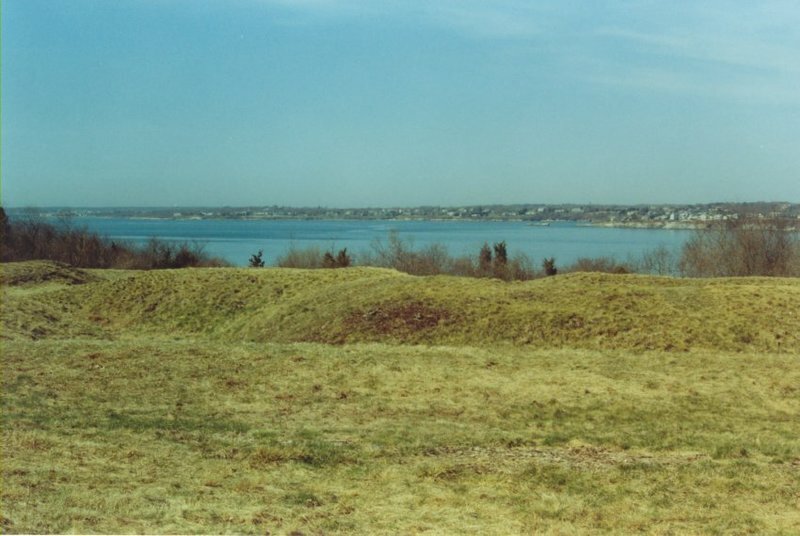 In May of 1776, the Americans hastily built an earthwork battery in a large field on the west side of the Beavertail peninsula on Conanicut Island. 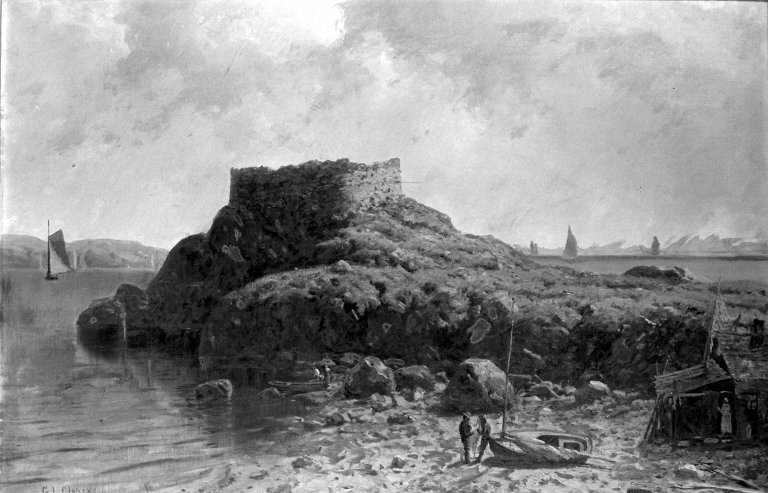 British diarist Frederick Mackenzie later described the fortification as a "Battery or Redoubt with 4 embrasures” facing the West Passage of Narragansett Bay. There were at least two other fortifications on Conanicut during the American Revolution: another battery at Beavertail and a battery on the eastern side of the island that later was rebuilt and named Fort Dumpling, after the shape of the rocky protrusions along the shoreline. 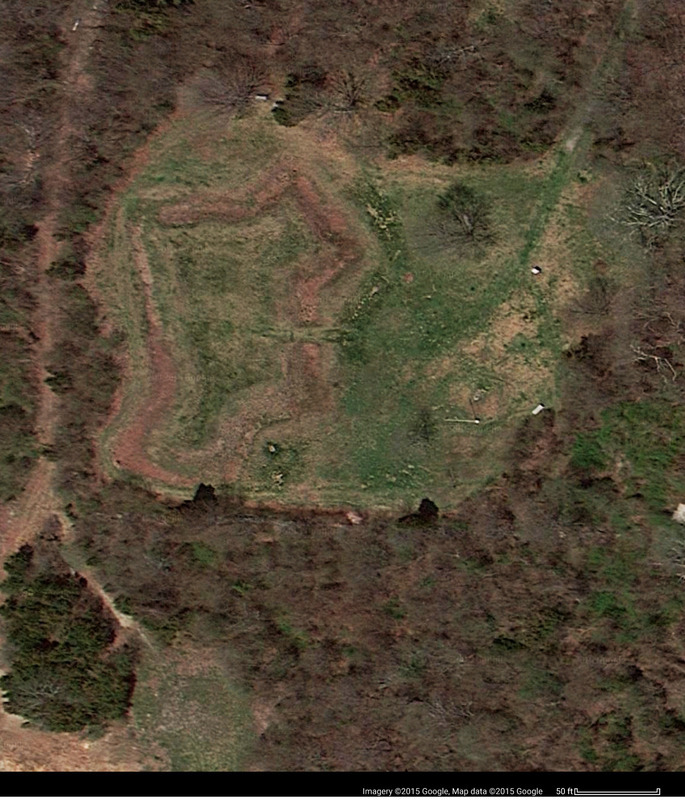 There may have been another American battery further north on Beavertail at Sheffield Cove. 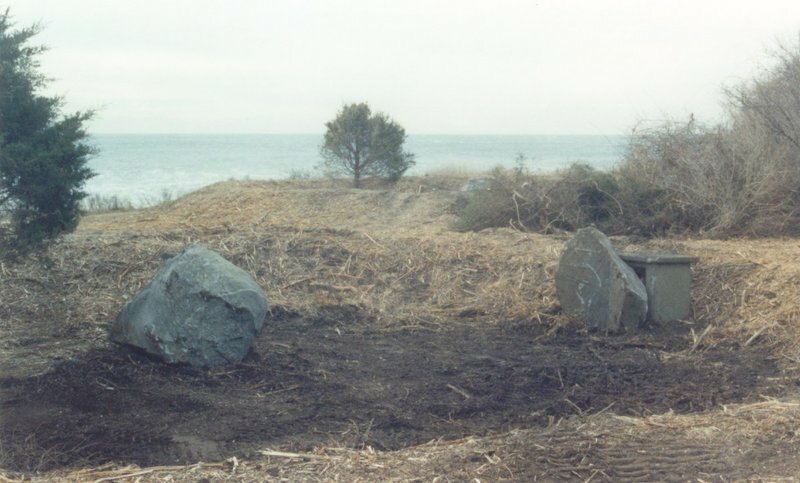 These defenses, along with a battery across the West Passage on Bonnet Point, were intended to protect Narragansett Bay from British naval incursions. They failed in this role. When the British sailed past Conanicut Battery on December 7, 1776, they were met with no opposition. The British forces occupied Conanicut and Aquidneck Island, and took control of the abandoned American defenses. The British improved most of these fortifications, including the Conanicut Battery, to defend their occupation. 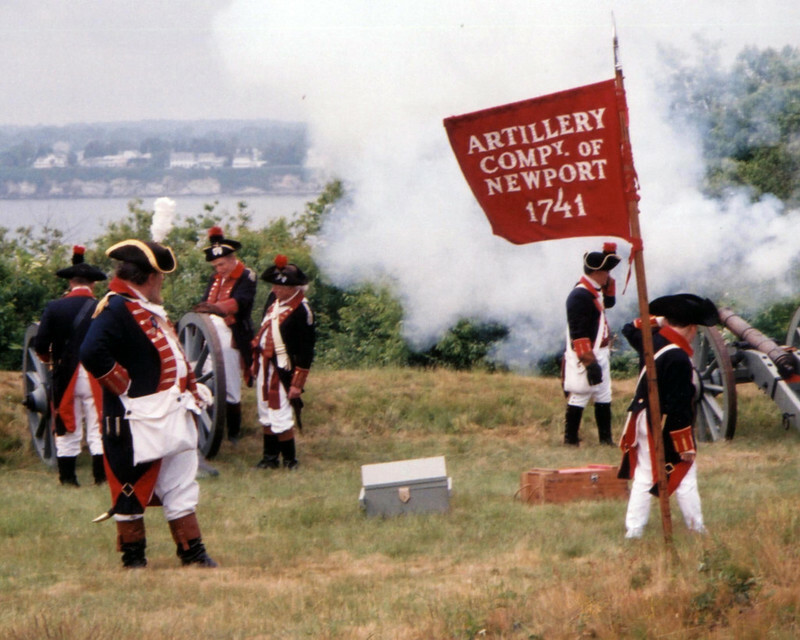 When the French finally arrived on July 29, 1778, British soldiers at Conanicut Battery fired its guns at two of the French ships. American Colonel John Laurens wrote to his father that, “The Sagittaire, a ship of the line, went up the western passage on the morning of the 30th , and was fired upon by a two gun battery of 24 pounders, which the enemy had on the west side of Cononicut. The Sagittaire returned a broadside as she passed, and we discovered from the Admiral's ship an explosion at the battery, which induced us to believe that the enemy had abandoned it. … The ship received two scratches in her hull, and proceeded to her station.” Upon their departure, the British destroyed the magazines, and the abandoned fort was left to decay. After the Revolution, Beavertail returned to agricultural uses. In 1931, the Daughters of the American Revolution erected a bronze plaque on the site, but it has since disappeared. During World War II, the military installed observation and communication posts nearby. In the 1990s a local profit group, Friends of the Conanicut Battery, secured funding to protect the site. Today the 22-acre park features trails to the World War II structures, interpretive signs, and the remains of the Conanicut Battery. 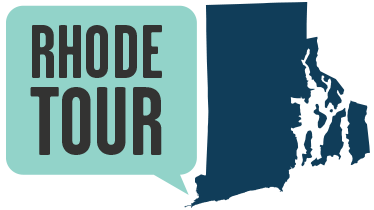 D. K. Abbass, Ph.D., “Conanicut Battery, Jamestown,” Rhode Tour, accessed April 21, 2019, http://rhodetour.org/items/show/51. D. K. Abbass, Revolutionary War Forts in Rhode Island Public Parks: RIMAP Heritage Trail Guide #1, Second edition, folding map (Newport: Rhode Island Marine Archaeology Project, 2013). D. K Abbass, Revolutionary War Forts in Rhode Island Public Parks: RIMAP Heritage Trail Guide #1(Newport: Rhode Island Marine Archaeology Project, 2010). D. K Abbass, Rhode Island in the Revolution: Big Happenings in the Smallest Colony, Part III: The Land Sites, Second Edition, Report for the National Park Service Battlefield Protection Program (Newport: Rhode Island Marine Archaeology Project, 2006) pp. 231-233.